It is important for a business to manage and maintain network infrastructure and servers and companies can’t afford to run the risk of system failures that would affect productivity and cost companies money. To keep your business procedures and applications in the cloud in top shape, you require master support and maintenance to deal with emergencies, relieve issues and streamline your cloud environment to furnish you with the best outcomes. At Katpro Technologies, we provide you with best-in-class cloud enterprise-wide training, support, and maintenance services based on MS Azure. With a dedicated, skilled team of professionals overseeing your cloud platform, we make use of advanced tools and superior skills to drive high performance application migration delivery through POC for Azure and cloud expertise. 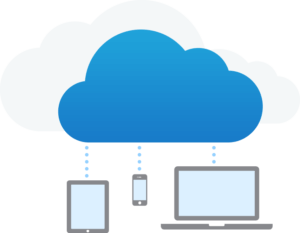 We also execute industry best practices to enhance the overall integrity and usability of your cloud platform. Operating System and Software technical support and maintenance are critical to keep your systems running smoothly. Our Technical support and Maintenance services are designed to protect your Cloud software while it is running in production. An organization’s hardware and mission critical applications are as good as their availability. We create maintenance and support services to meet our clients’ needs, and we provide guaranteed services. We ensure that your operating system is running at the suitable level for your software and that all of the software is up to date. We offer adaptable service level options which are designed to best fit your needs, provided by our technical experts with immense experience in multiple different operating systems and applications. We resolve system performance issues consistently. First, we analyze the way your network and systems run, then assign our experts to manage it through a single point of contact. Normal service calls and remote monitoring are fundamentals to our approach. We offer a wide selection of maintenance and service packages that provide our clients with benefit, flexibility, adaptability and choice because we recognize the importance of business continuity, and the need for a range of options to ensure it.